The three days of the Easter Triduum are an especially sacred time. Even when we are at home or at work, the Church encourages us to keep the spirit of those days. The expression “Triduum” means “three days.” These three days are counted the same way the Hebrews counted their days: from dusk to dusk. 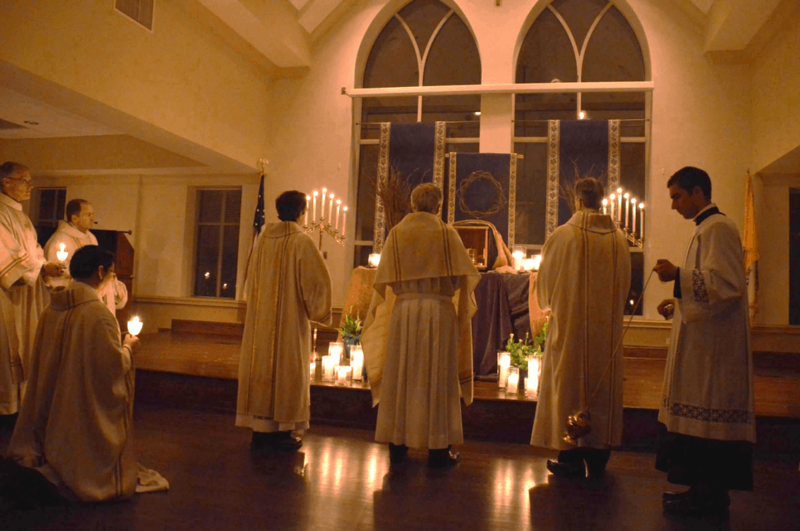 Thus, it spans from Holy Thursday’s Evening Mass of the Lord’s Supper, has it’s center in the Easter Vigil and closes with Vesper (Evening Prayer) on the Sunday of the Resurrection.